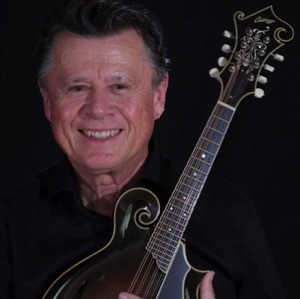 Mark Davis has played guitar and mandolin professionally since 1976. Mr. Davis began his first study of the classical guitar with Hibbard Perry of Providence, RI, and later became a protégé of the German guitarist/conductor Siegfried Behrend, studying at his annual summer classes in Bavaria and performing under his direction in the Deutsches Zupforchester. He was very active through the ‘80’s and ‘90’s with his pioneering mandolin and guitar ensemble, the Mair-Davis Duo, with their debut in Weill Recital Hall and performances in Japan, Spain, France, Italy and Germany as well as his native New England. Besides recording arguably the first LP of concert music for guitar and mandolin duo (“Music for Guitar and Mandolin”, 1980) this group was nominated for a Grammy award and numerous composers, including Ernst Krenek, Guido Santorsola, and S. Funk Pearson wrote and dedicated works for them. In 1989 Mr. Davis assumed the role of Music Director/Conductor of the Providence Mandolin Orchestra, a group that dates back to the first decades of the 20th century. Under his direction the group has been recognized as one of the top plucked string ensembles in the US with a reputation for featuring new works. The PMO has performed in Spain, France, Germany and the Netherlands, and has performed over 75 original contemporary works, many of these written for the PMO. Since 2001 Mark Davis has worked in a duo with Beverly Davis, developing a repertoire for both guitar duo and mandolin and guitar duo. They formed the international TRIO 868 to explore repertoire for two mandolins and guitar. They travel widely and have performed in Europe, Australia and the USA. In 2011 Mr. Davis was guest conductor at the Federation of Australasian Mandolin Ensembles (FAME) annual mandolin festival in Perth, Australia. He conducted the premiere of Phil Moloso’s “Kindertoten II for 12 guitars and narrator” in Phoenix, AZ; conducted the revival of Steve Jobe’s medieval folk-rock opera “Joan of Arc”, has directed the Festival Orchestra at the Classical Mandolin Society of America’s annual conventions, and was guest conductor at the 2012 Carlo Aonzo Manhattan Workshop for mandolin. Mark Davis feels that today is the true “Golden Age’ for plucked string instruments because of the impressive number of new pieces being written for these instruments, and formed the New American Mandolin Ensemble with the goal of presenting these original contemporary works for plucked strings in the USA and abroad.